This weekend, I finally got into the Bottled Rainbows quilt. 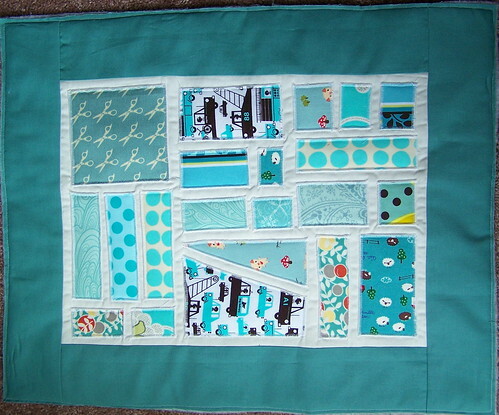 My progress--I cut all 16 Neutral Kona blocks and finished the teal block (with batting) using a quilt as you go method. I can already tell that I'm going to enjoy this much more than quilting a large piece all at once, because it's so much easier to maneuver. And there's a great sense of accomplishment in seeing a glimpse of the finished quilt! 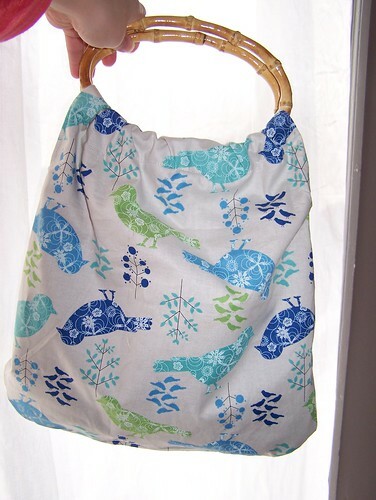 I also whipped up this reversible bag from items in my stash (fabric, purse handles and trim are things I've had for at least a year), and it's going to be a contribution to a silent auction held at my church in a couple weekends. My favorite part--the polka dot lime trim on the inside pocket. 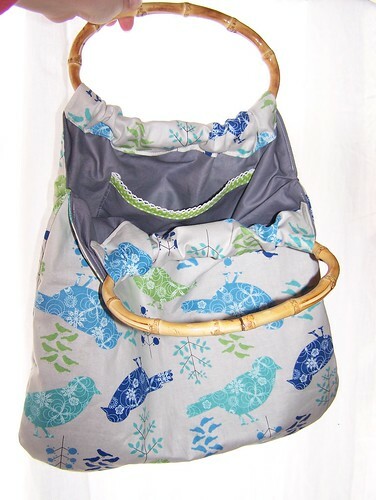 And those fun handles, although they seriously make me want to lay on a beach somewhere. 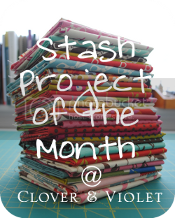 Linking up to the Stash Project of the Month at Clover and Violet! 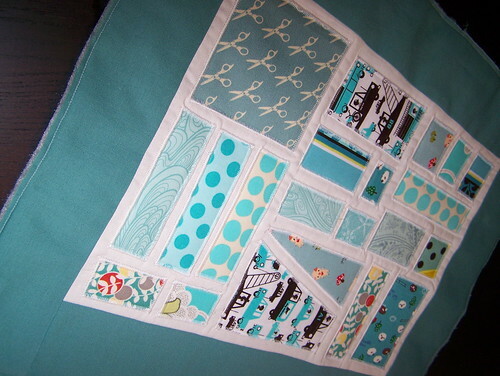 Love the little sheep in your teal block, they are so cute! I hope to get my first block pieced for the bottled rainbows quilt this week!